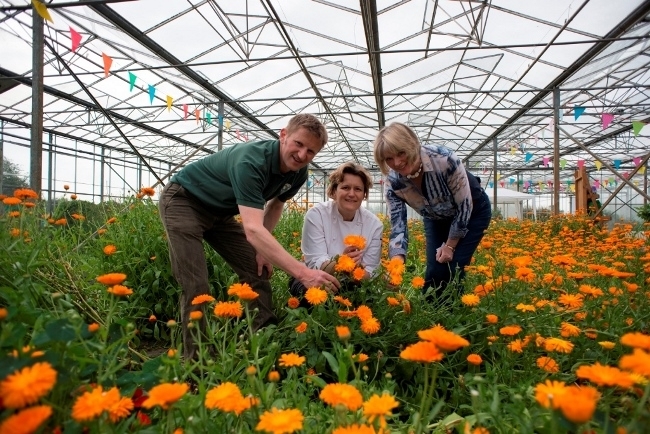 Herbs Unlimited, which grows traditional herbs and baby salad alongside speciality herbs and edible flowers on a 92-acre farm just outside Thirsk has celebrated investing £200,000 in new equipment with an open day. The event attracted chefs and food companies from around the UK. Herbs Unlimited’s managing director Alison Dodd said: “We invited chefs to see the farm for themselves and to learn more about the speciality fresh herbs and flowers grown here and their uses. “We hope to inspire chefs to bring something new to their menus. We supply our product to many food manufacturers and the hospitality sector throughout the UK but we can also supply direct to chefs. “Interest in fresh herbs has grown tremendously in recent years but we can’t afford to stand still. We are constantly innovating our product range and a significant investment of £200,000 in new machinery will see us increase the size of our packhouse by 2018. “This will enable us to optimise opportunities for growth in the wholesale markets and through the increasing nationwide popularity of food boxes. Stephanie Moon said: “I’ve been working with Herbs Unlimited for a number of years but I still get excited about the sheer variety of herbs and flowers that they grow.